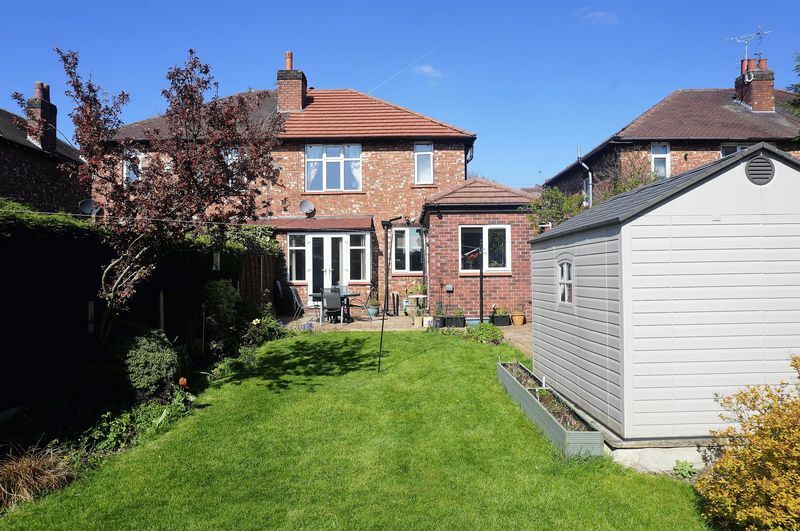 A beautiful extended semi detached home situated in a delightful small cul-de-sac. Perfect for a family buyer within close proximity to schools, local amenities and with easy access to Stockport Town Centre and transport networks. 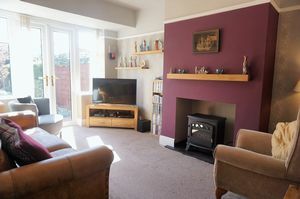 The house offers very well presented accommodation comprising welcoming entrance hall, two good size reception rooms and extended kitchen with a vaulted ceiling. 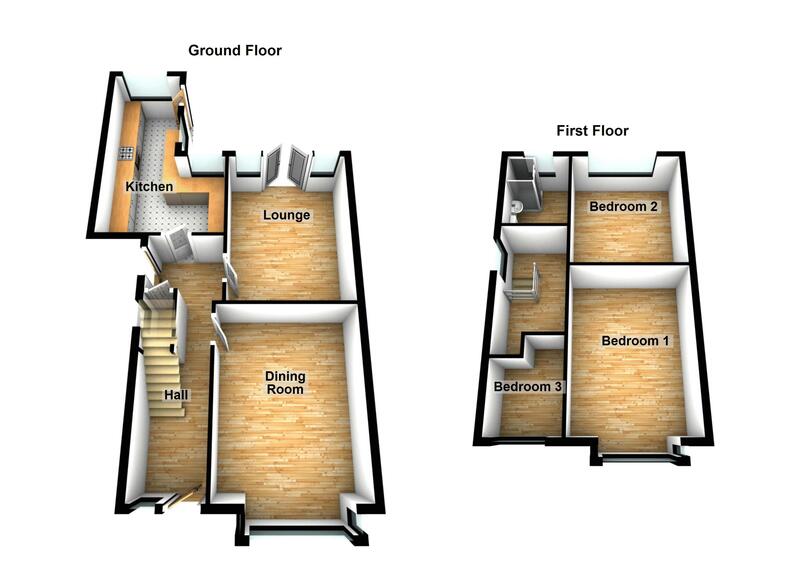 To the first floor are three bedrooms and re-fitted shower room. 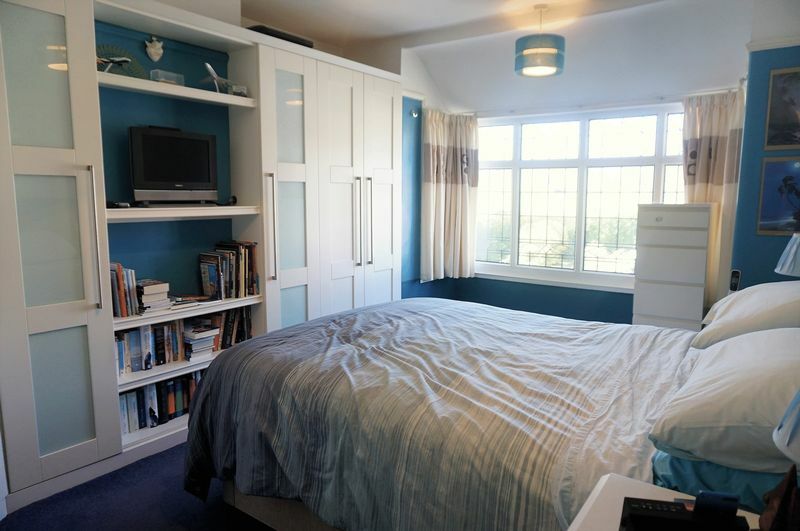 Double glazed, gas central heating and alarm system. 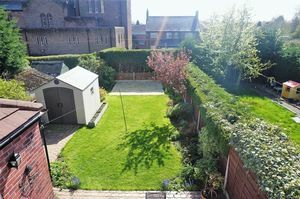 A desirable plot boasts well kept rear garden with a private aspect and drive providing off road parking. 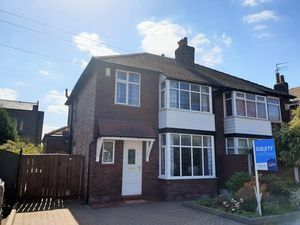 Early viewing is advised - this won't be available for long! Exceptionally well maintained property in a desirable position. 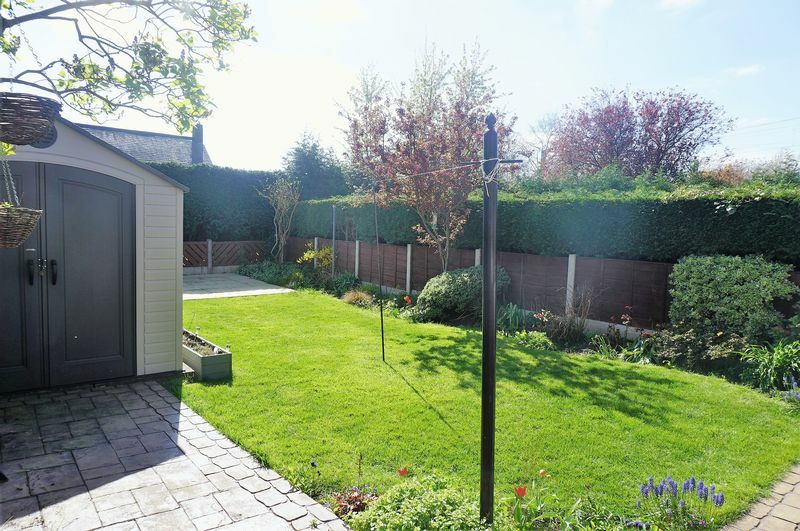 Block paved drive providing off road parking, decorative flower bed, canopy porch and gated side access. Welcoming entrance hall with UPVC door and obscure window to the front. Stairs to the first floor with spindle banister and useful understairs cupboard. Radiator and karn dean flooring. UPVC door giving side access. 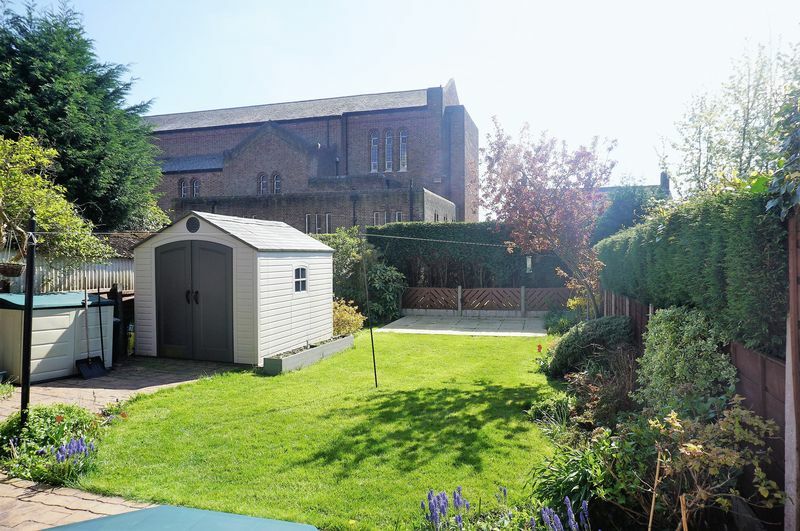 Bright and airy living space with windows to the rear and French door leading out to the garden. Radiator, picture rail and space for fire with wooden mantel. Bay window to the front, radiator, coving, picture and dado rail. Gas living flame effect cast iron fire with tiled hearth and wood surround. 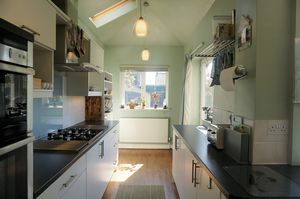 Extended kitchen with fabulous vaulted ceiling. Fitted with wall cupboard, base units and drawers. 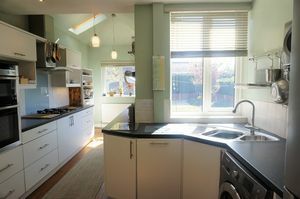 Work surface housing one and a half bowl sink unit and drainer with mixer tap, tiled splashbacks and karn dean flooring. Fitted double oven, four ring gas hob with stainless steel canopy extractor fan, dishwasher and space for fridge/freezer and washing machine. Radiator, windows to the rear, side and UPVC door leading out to the rear garden. Breakfast area. Obscure window to the side and loft access with pull down ladders leading to a boarded out loft with light. 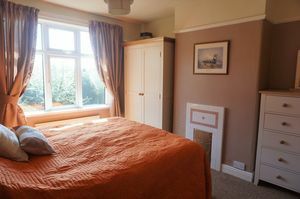 Double bedroom with bay window to the front, radiator, picture rail and modern, high quality fitted wardrobes. 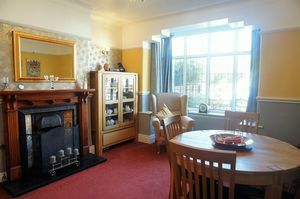 Double bedroom with window to the rear, radiator, picture rail and original tiled fire place. 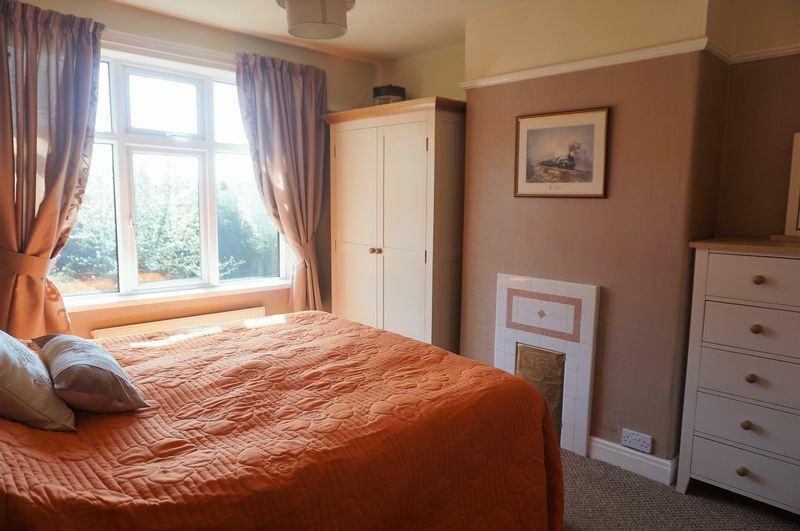 Window to the front, radiator and picture rail. 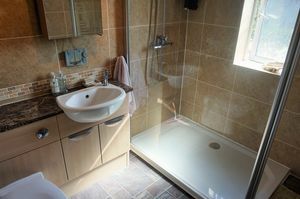 Modern fitted shower room with WC, wash hand basin set in vanity unit and double shower unit. Fully tiled, tiled effect flooring, towel rail and obscure window to the rear. 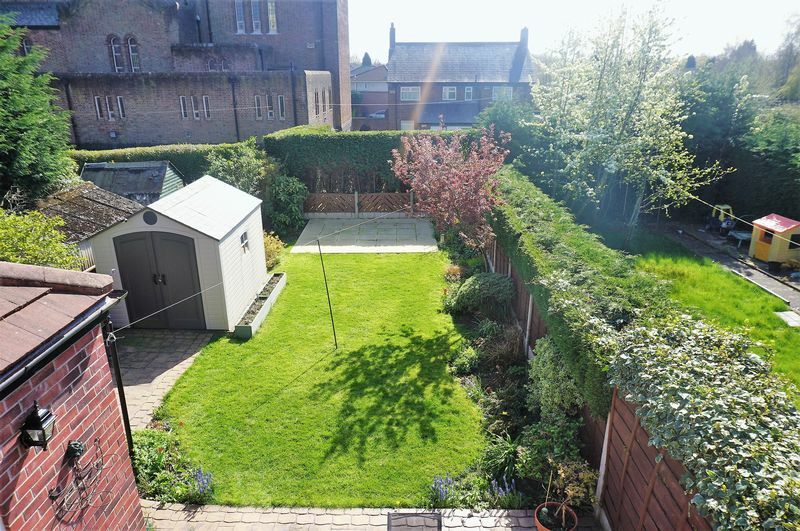 Fabulous, very well maintained rear garden. Mainly laid to lawn with decorative flower beds, hedging and paved patios. Gated side access, external lighting, tap and shed with electric.